The World’s Best & Worst Sunblock Ever! Spoiler Alert: Not dry to touch, not sheer at all, not light weight, also don’t expect the clean feel. Disclaimer: I’m not a hater. I’m aware of the fact that this sun block may only be horrible to my skin type and may work splendidly for others. When I first put on the sun block it felt heavy and there was a shiny, hard to ignore layer on my skin. Yes it shined. It seemed like I had rubbed oil on my face. My skin felt downright weird and uncomfortable. Furthermore, it was really expensive so I still have the one time used tube and I’m holding on to it just because its so hard to throw away something you spent that much money on. A friend told me about this. 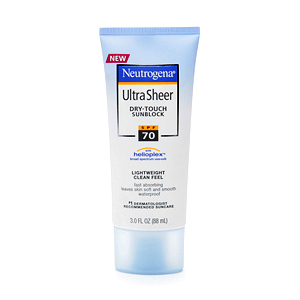 And this is by far the best sun block I’ve ever used. It disappears as soon as I put it on. Absorbs quickly and works splendidly. And best of all it does not leave a white chalky residue behind. So if your skin is like mine. You don’t have to wait 19 years and try out a hundred different crappy sunscreens like I had to. Just go for this one and you would have one less thing to worry about! This entry was posted on July 11, 2013 by samtotally in Beauty and tagged Beauty, Oily Skin, Shopping, Skin Care, Sunblock, Sunscreen, Ultraviolet.